Oster Outlaw review: Underrated Clipper Alert! 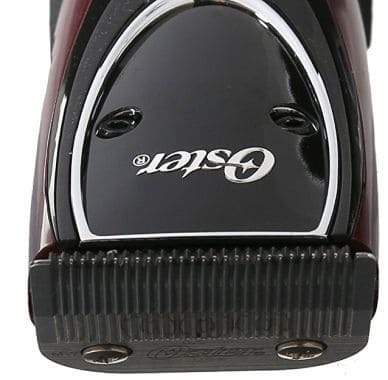 When it comes to Oster professional hair clippers, one model has alway been severely underrated. I’m yet to know why. Indeed, I’m talking about the Oster Outlaw clippers. Undoubtedly the most ergonomic Oster barber grade hair cutters, they also deliver quite a powerful performance. A two speed motor with a regular and “turbo” mode takes perfect care of any haircut. There’s a bit of a confusion surrounding them. Many people tend to think their purpose is to mainly serve as pet grooming clippers. Let’s dispel this misunderstanding in this Oster Outlaw review. You’ll be quite surprised with Oster Outlaw clippers. Unlike the usual heavy, bulky cutters of the brand, you’re getting a sleek, rather lightweight machine. The Outlaw 76, as people sometimes refer to it, is ergonomic and extremely light on your hand. Prepare for way easier long haircuts than you would do with the Classic 76 or Oster Model 10 clipper. Another bonus you’ll get here is the rubberized casing. Anti-slip, it will provide you with a more secure grip. In terms of ergonomics, the Oster Outlaw 2 speed clipper simply outperforms other Oster models. Keep in mind that I’m benchmarking it against this company’s machines. It might still feel a bit heavy compared to compact clippers like the Remington HC4250. You’ll notice a change in the power cord too. At 10 feet, it’s longer than the usual 8 to 9 feet clipper cords, allowing for greater mobility. You should also receive lubrication oil, a small cleaning brush and a neat zippered storage case with your hair cutting machine. How does the Oster 76 Outlaw perform? While not the most powerful machine out there, the Oster Outlaw still classifies as a great barber clipper. Given its affordable price, it’s a perfect pick for barbers who are just starting out with their art. There’s a reason this model is called the Outlaw 2 speed clipper. Unlike the Classic 76’s single-speed pivot motor, you have two modes with the Outlaw. The regular motor works at 2900 strokes per minute. With the so called turbo mode, you’ll jump to 3300 strokes per minute. You’ll receive the Oster Outlaw clippers with a #000 detachable Oster blade. It cuts through any type of hair pretty spectacularly. Yes, even extra thick hair or curls prone to tangling stand no chance. Well, the Outlaw clipper blade is the same as what the Oster 76 or Oster Model 10 barber clippers use. In fact, blades are fully interchangeable between these three models. Same cryogenically tested, ultra sharp and extra strong stainless steel. You have to purchase any additional blades, as these are Oster detachable blade clippers after all. In this Oster Outlaw review, let’s get this part straight: the Oster 76 Outlaw loses against the professional Classic 76 in terms of performance. The latter is a certified beast of a heavy-duty clipper. It’s just too powerful. That said, there’s a very important tradeoff: the Outlaw clippers are much quieter, way less expensive and outshine the Classic in the ergonomics department. While the Oster 76 is perfect for advanced barbers, the Outlaw 2 speed clipper is any beginner’s most sensible pick. Personally, I adore the standard 76. But as I’ve pointed out before, it’s very loud and can tire your hands if you’re not used to it. An Oster 76 Outlaw will skip on straining your hand and its extra rubberized body will give you an easier grip. Don’t worry, it will still cut good enough for anything from buzz cuts to bulk haircuts. After all, the Oster detachable blades these two models use are the same. Let’s keep this Oster Outlaw review as honest as possible. When speaking of the Oster Outlaw 2 speed body, the brand advertises it’s vent-free design. It’s convenient alright: there won’t be any hair blown while you cut with it. However, this leads to another issue, all-too-familiar to any hair clippers for barbers. Yes, I’m talking about overheating. A vent-free design also means heat accumulates easier and the blades get hot as a result. I really advise you to grab some hair clipper coolant, because the Outlaw blades will eventually get hot. Usually that’s around the 15-20 minute mark, but it vastly varies. Factors include hair type, hair length and thickness. Of course, whether you’re using the regular mode or the turbo performance also has an effect. While the cord is lengthier, I also found it less sturdy than what the model 10 clipper or the Classic 76 work with. And speaking of body/design, you won’t get the traditional vintage looks other Oster models have with the Outlaw. For many people that won’t be of any interest, I’m sure. 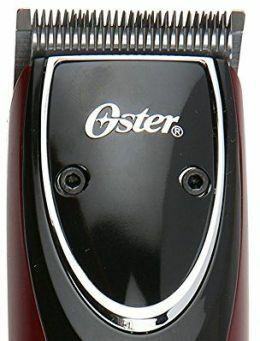 Yet one of my favorite things about this brand is how Oster shape the looks of their clippers in line with barber traditions. 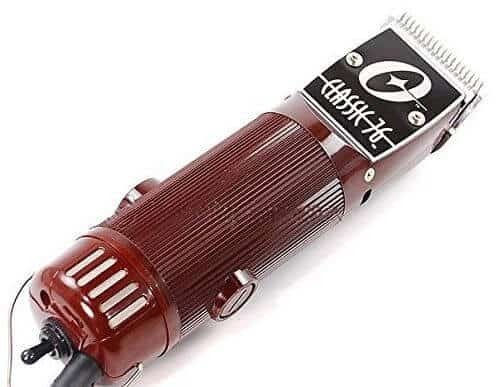 Take a look at the professional 76 classic clipper on Amazon.com and you’ll understand me. After everything’s said and done in this Oster Outlaw review, the Oster Outlaw clipper is a crazy good choice for aspiring barbers. It’s great if you want to spice up your home haircuts with something more powerful. Underestimating Oster Outlaw clippers is something unfathomable to me. With sleek design, great ergonomics and two motor modes, this model is a refreshing representative from Oster. It’s extremely quiet for the brand’s barber clippers. Just keep in mind it also can’t escape getting hot, has a lackluster cord and doesn’t give you a specific vintage feeling. If you value motor hums instead of roars, flexibility and lucrative prices, this is your clipper. Wait no more, as this Oster Outlaw review suggests.